KATMANDU, NEPAL - Japanese alpinist Ken Noguchi donated $100,000 on behalf of the Japanese public to Nepal on Monday to help the families of Sherpas who die in avalanches and other accidents while climbing Mt. Everest. Ang Tshering Sherpa, president of the Nepal Mountaineering Association, said the association will add a matching sum to set up a basket relief fund for Nepal’s professional mountaineering guides. Noguchi, who in 1999 became at the age of 25 the youngest person at the time to have conquered seven major peaks around the world, told reporters in Katmandu that the money was collected from Japanese who love Nepal. The Nepal Mountaineering Association said the basket fund will be used for financial assistance, employment and education purposes. An avalanche hit Mt. Everest on April 18, leaving 13 Sherpas dead and three still missing. 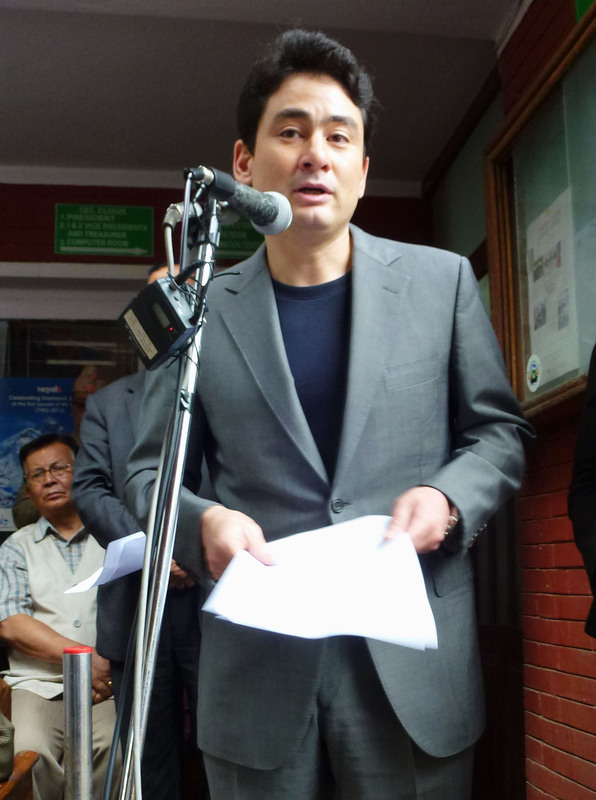 Noguchi expressed dismay at the response of the Nepalese government to last month’s disaster. The government announced relief payments of $400 to each of the families of the 16 Sherpas caught in last month’s avalanche. Noguchi said the blanket abandonment of climbing activities on Mt. Everest this season could jeopardize mountaineering in Nepal, and stressed that this should not occur again. “If this happens again, foreigners will give up on Mt. 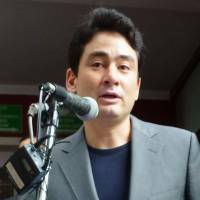 Everest,” said Noguchi, who heads the Seven Summits Actions for Sustainable Society, a group that works for the conservation of the global environment. Sherpa said his association has received phone calls from many foreigners who have expressed willingness to contribute to the basket fund. “Sherpas leave schools to join the mountaineering profession at the age of around 15 and retire at around 45. There is no livelihood for them after retirement,” he said. In the aftermath of last month’s tragedy, an outcry in the Sherpa community over the government’s response to the avalanche disaster halted climbing activities. After last month’s disaster, many Sherpas raised concerns about safety, and this eventually led to a complete abandonment of climbing on the mountain for this season. It was the first such incident since the peak, the world’s highest, was opened for commercial expeditions more than two decades ago. A total of 334 climbers who were part of 31 climbing teams were issued permits to climb Mt. Everest this spring.